Cabinetry is a huge visual presence in any kitchen. This fact makes cabinets, along with drawers and open shelves, tricky to design, especially if you want them all to look both traditional and modern. Natural wood is synonymous with traditional kitchen cabinets, but those with pronounced striped grain appear exotic. The wavy horizontal lines lend more texture to the material, especially when juxtaposed with plain visual elements. 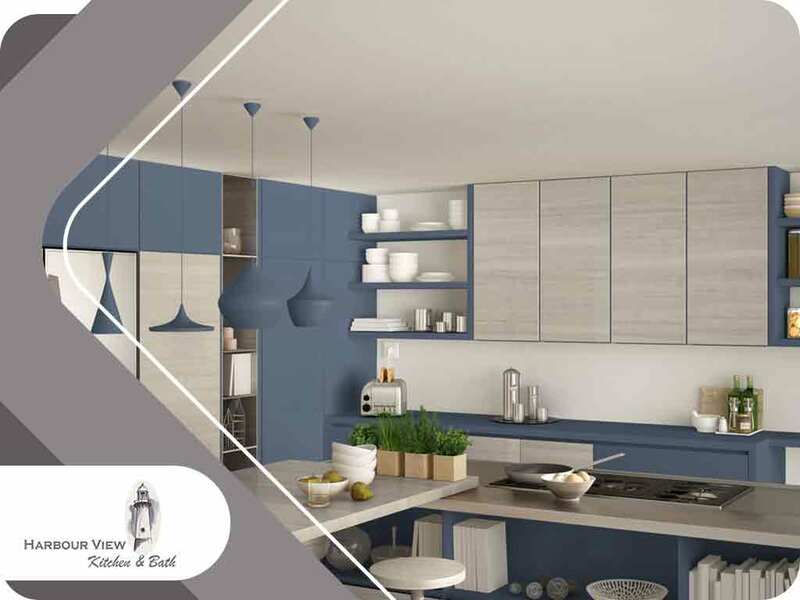 If you want pieces of future that look like a cross between old-fashioned and contemporary cabinets, Harbour View Kitchen and Bath recommends going neutral. White, different shades of gray taupe, and other natural colors can mesh with practically anything. With them, you may be able to re-design your kitchen from a traditional style to a modern one, or vice versa, without touching your cabinets. If you want simple countertops, pair them with two-tone cabinets. Their dual color creates visual interest, drawing the eye away from less appealing or less fascinating design elements. You can color your upper and lower units differently, or use distinct hues on your cabinet doors and exterior frames. Either strategy can double the charm of your cabinetry. Nobody would argue that rustic woodwork is quaint, but seeing it with modern appliances in the same room is transformative. The manufactured bodies and artificial finishes of electric machines can appear fresh next to the warmth and ruggedness of natural wood. Like floating bathroom cabinets, levitating lower kitchen units reinforce the modern concept of spaciousness. Such a cabinetry design offers more depth to the room and frees up more real estate to show off your beautiful floor. Turn to Harbour View Kitchen and Bath to find the most suitable cabinet design and American-made products for your home. Call (757) 644-0848 now to schedule your appointment with us in Norfolk, VA, or any nearby community.